Md. Zillur Rahman Siddique has completed his BBA (Honours) major in Marketing & MBA in Marketing from University of Rajshahi, Bangladesh. In the MBA program, he prepared research report on horticultural marketing practices in Bangladesh focusing to identify marketing tools usages in this sector. After earning his MBA degree, he joined as a Lecturer, Department of Marketing, Comilla University, Bangladesh in September, 2011. 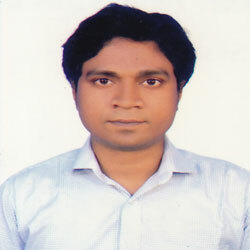 He have published some articles on different journals such as Journal for International Business and Entrepreneurship Development, Journal of Sustainable Development, Business, Management and Economics Research, The Jahangirnagar Journal of Business Studies etc. He teaches classes mainly Business Mathematics, Business Statistics, Quantitative Business Analysis, Strategic Brand Management, Management Information System, Service Marketing, E-commerce, Environmental Marketing. His research interest is on consumer behavior, green marketing, social media, entrepreneurship. Department of Marketing University of Rajshahi Rajshahi-6205, Bangladesh. Siddique, M. Z. R., & Ali, M. B.
Comilla University Journal, Volume-1, pp. 205-212. Siddique, M. Z. R., Jamil, M. A. A., & Ali, M. B.
Hasan, M.M., Siddique, M. Z. R. & Rahman, M.M. Jamil, M. A. A., & Siddique, M. Z. R.
Siddique, M. Z. R., & Hasan, M. R.
Hasan, M.M., & Siddique, M. Z. R.
Siddique, M. Z. R., Jamil, M. A. A., & Hasan, M.M. Jamil, M. A. A., Hossain, A., & Siddique, M. Z. R.
Hossain, A., Siddique, M. Z. R., & Jamil, M. A. A.
Siddique, M. Z. R. & Hossain, A.